Wrestling Inc. reports that Corey Graves has been called out on social media by his wife, for allegedly cheating on her with Carmella. 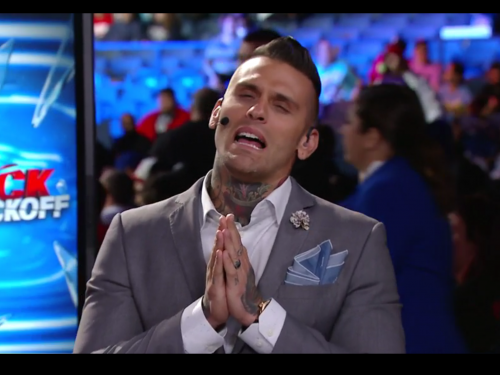 “Amy Polinsky, wife of WWE commentator Corey Graves, took to her Instagram account in an effort to shed some light on an alleged affair between Graves and WWE Superstar, Carmella. In the since-deleted Instagram post, Polinsky first mentioned Graves’ apparent suicide attempts and alcoholism before she brought up that he had been “sleeping with” Carmella.